Unfortunately, it isn’t too uncommon for a patient to require the removal of one or more wisdom teeth. Although our dentists believe that tooth extraction should always be a last case scenario, it is often the only solution when wisdom teeth become problematic, causing the patient to experience pain and discomfort. Cysts: These sacks of fluid can form around the impacted wisdom tooth, causing potential damage to surrounding teeth, bone, and gums. Depending on your situation, your wisdom teeth will either be removed in-chair using a simple extraction procedure, or under general anaesthetic at hospital if the teeth are impacted deep below the gum’s surface. At John Appleyard Dental, our professional and friendly dentists will thoroughly explain the procedure to you during your initial consultation, whilst answering any questions or concerns you may have along the way. 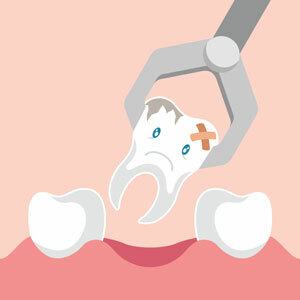 Overall, the wisdom tooth removal process will take between half an hour to one-and-a-half hours, depending on how many teeth require extraction and how severely impacted they are. Once the procedure is over, you will be prescribed medication to manage pain and prevent infection, before a family member or friend is able to take you home. Our dentist will then see you approximately 2 weeks after surgery to ensure you’re well on the road to recovery. Are you concerned about impacted wisdom teeth or are experiencing signs of pain and discomfort? Schedule a consultation with our friendly team of oral health care professionals today so we can assist you.